Last chance to see Freddie Fox star in Oscar Wilde’s classic comedy alongside his father. An Ideal Husband tickets are only available for a short time. Don't miss your last chance to see this classic as a part of Dominic Dromgoole's season of Oscar Wilde at the Vaudeville Theatre. Oscar Wilde’s An Ideal Husband, the cream of the crop when it comes to British comedies, follows the intrigue and scandal of public life straight into the drawing room. Sir Robert Chiltern’s seems confident of his smooth political ascension but when confronted with dubious past dealings everything is called into jeopardy. 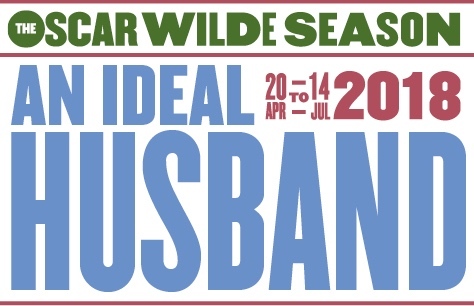 Book your An Ideal Husband tickets now to guarantee the best seats at the best prices! Your London production of An Ideal Husband is a fine tribute to Oscar Wilde. He would be thoroughly pleased. Our great regret is we were not in town for the other plays you are staging at the Vaudeville Theater. Bravo to you and your outstanding cast! Terrific acting by terrific actors/actresses.